Sony’s dishing out the treats this Halloween with an announcement trailer for a PlayStation cult classic. The spooky hack-and-slash MediEvil will be rising from the grave with a new 4K remastered version that’s coming in 2019. While the development team has kept the old bones of the franchise intact, the game looks to be getting a serious overhaul in terms of gameplay and graphics with new animations, responsive controls and a significantly higher pixel count. The original MediEvil came out in 1998 in the US and Europe and was developed by Guerilla Cambridge, at the time known as SCEE Cambridge. The basic premise: Sir Daniel Fortesque, a knight who died fighting the evil sorcerer Zarok is brought back to life 100 years later when Zarok returns with an army of the dead. If Sir Dan ever wants to get back to his eternal slumber – and save his home kingdom of Gallowmere in the process – he'll need to defeat Zarok once and for all. 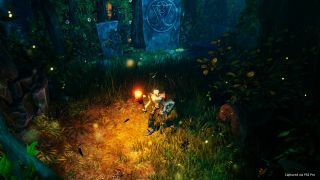 While the basic action platformer might not hold quite the same cherished place on the pantheon of great PlayStation titles as the original Crash Bandicoot, Tomb Raider or Metal Gear Solid, it’s certainly a nice Halloween treat for veteran gamers looking to relive some childhood memories. There's no word on a release date yet, so stay tuned.